Do you want to create a Campaign Monitor subscribe form in WordPress? Adding a subscribe form throughout your website helps you stay in touch with your site visitors and forge long-lasting relationships. 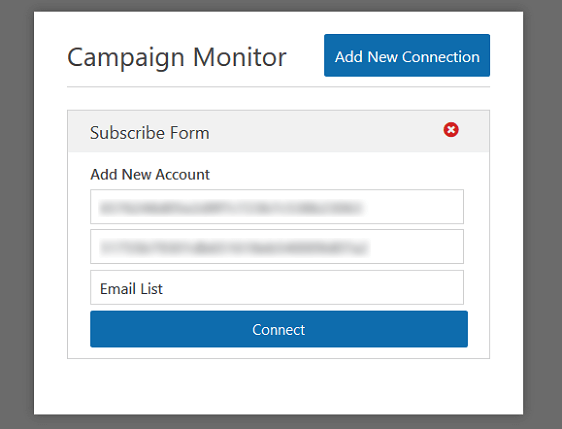 In this article, we’ll show you how to create a Campaign Monitor subscribe form in WordPress so you can build your email list. Next, go to WPForms » Addons and find the Campaign Monitor Addon. Install and activate the Campaign Monitor Addon. 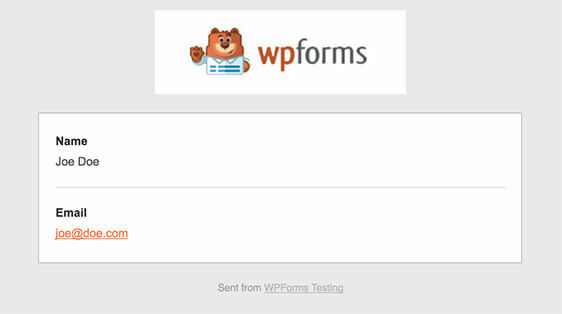 Once your WPForms Campaign Monitor addon is active, go to WPForms » Add New to create a new form. Here, you can add additional fields by dragging them from the left hand panel to the right hand panel. Then, click on the field to make any changes. 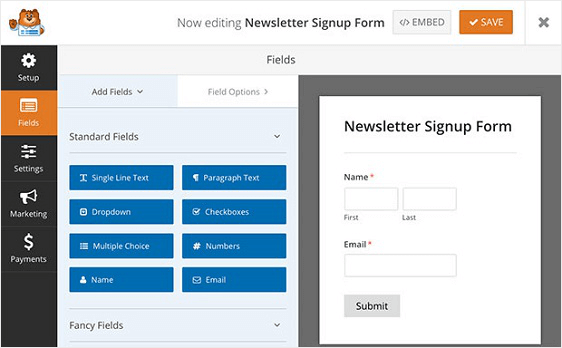 You can also click on a form field and drag it to rearrange the order on your Campaign Monitor subscribe form. 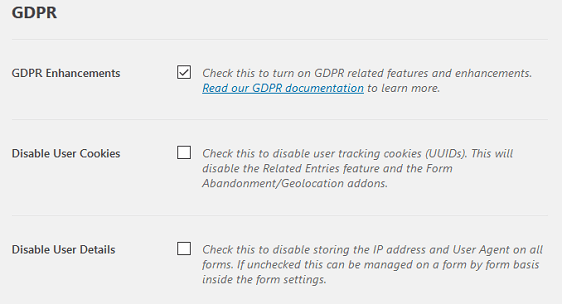 One form field you might want to add to your Campaign Monitor subscribe form is the GDPR Agreement field. 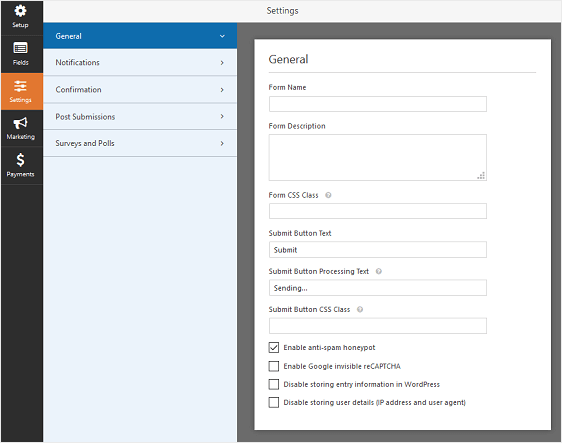 Now, we’ll take a look at how to configure the Campaign Monitor settings so you can connect your signup form to your email marketing service . 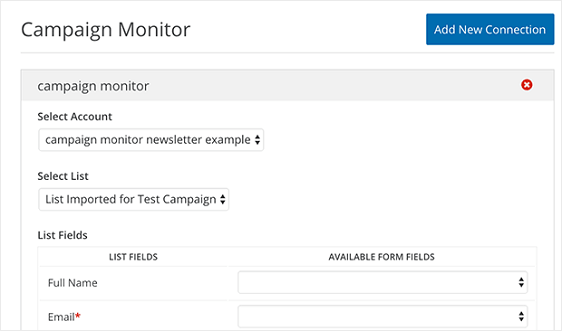 To connect your subscribe form to Campaign Monitor, go to Marketing » Campaign Monitor. Next, click Add New Connection. A box will pop up asking you to name this connection. Enter any name you want since this is for your reference only. Then, click OK.
Next, you’ll be asked for your Campaign Monitor API Key. You can get this by signing in to your Campaign Monitor account. In your Campaign Monitor dashboard, click on your profile image and then go to Account Settings » API keys. Click Show API Key and copy it. 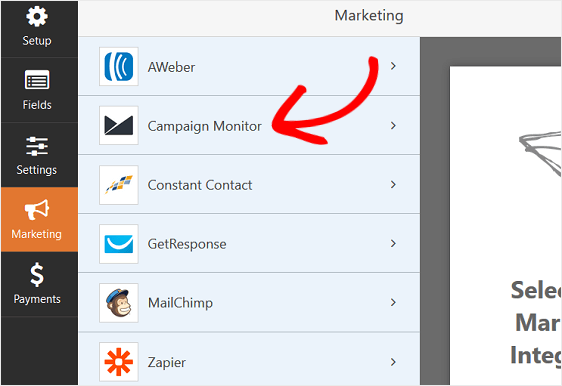 Then, paste this key in your Campaign Monitor marketing settings page in WordPress. Next, copy and paste the Client ID. You can give your Campaign Monitor account a nickname too. 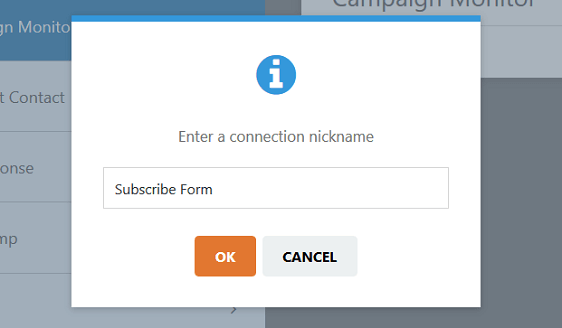 Click on the Connect button so WPForms can connect to your Campaign Monitor account and you can choose the email list you want your subscribers’ information sent to when they sign up. Make sure to choose Email from the email dropdown menu so email addresses are sent to your Campaign Monitor account when people subscribe. 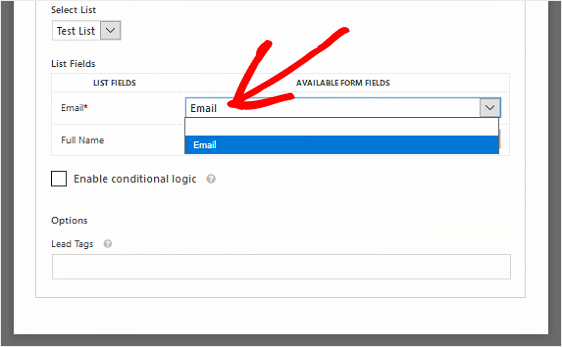 If you want additional information sent to your Campaign Monitor account, such as the subscriber’s name, choose those form fields from their respective dropdown menus. When you’ve configured these settings, save your form. Now, you can configure your form’s settings. Then, customize the confirmation message to your liking and click Save when you’re done. 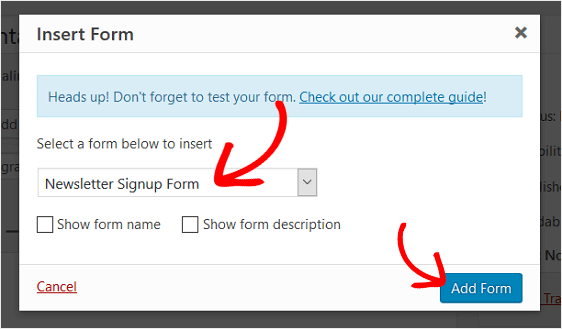 For help with other confirmation types, see out documentation on setting up form confirmations. Now you’re ready to add your contact form to your website. 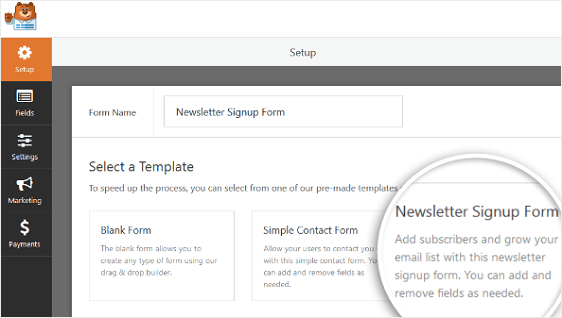 After you’ve created your Campaign Monitor subscribe form, you need to add it to your WordPress website. And there you have it! You now know how to create a Campaign Monitor subscribe form in WordPress so you can start building your email list and working on your email marketing strategies. If you want to offer a lead magnet to encourage more site visitors to subscribe to your email list, check out this article on delivering a content upgrade to form subscribers. Adding to that, once you form solid relationships with your new subscribers you might want to consider adding a form to your site so you can find out more of what your subscribers want from you. To do this, check out our easy to follow tutorial on how to create a survey form in WordPress.